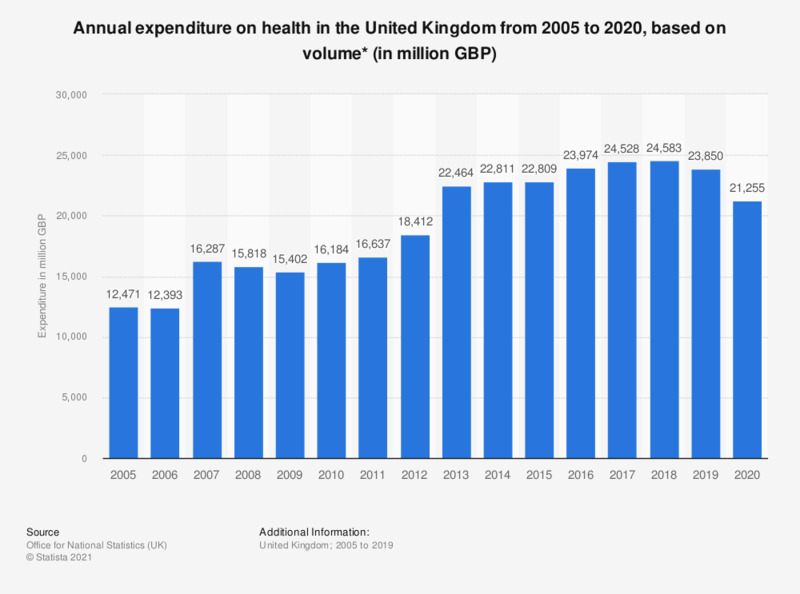 This statistic shows the total annual expenditure on health in the United Kingdom from 2005 to 2018, based on volume. In 2018, UK households bought approximately 26.9 billion British pounds worth of health products and services, including medical and pharmaceutical products and hospital and out-patient services. 'Health' includes medical products, appliances and equipment, medical services, dental services, paramedical services and hospital services.